Funding Choices already work in US, Canada, UK, Germany, Australia and New Zeland, for other regions it launches this year. treat your visitors with respect. All these actions draw a general strategy of controlling advertising on the web, which becomes possible for Google due to the popularity of its browser, search and advertising services, as well as to partnering with other major advertisers and publishers. The outline of this strategy had become clear from the activity of the Better Ads coalition, and we have already written about it. We support all initiatives that improve the quality of ads, reduce their quantity and give alternative methods of monetization to site owners. But we are concerned about the market regulation by one of its participants. Google is a huge business built on online advertising, and its regulation techniques would probably serve the protection of its own interests. In addition, whatever high-quality and standards-compliant, an ad is still an ad, and we understand the desire of many users not to see it at all. 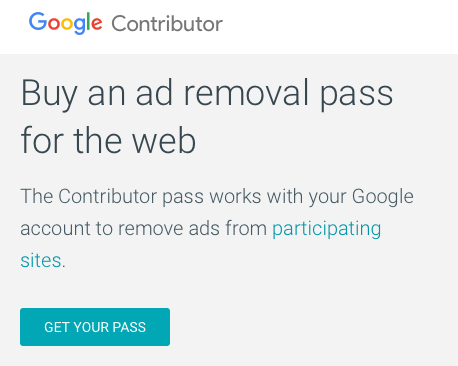 So, instead of hoping that Google masterfully balances the conflicting interests of users, marketers, websites, its competitors and its own, we build AdGuard, which simply blocks advertising, without claiming the role of its reformer or regulator. And if you want to support a particular site or trust the ads on it, you can add it to the AdGuard whitelist yourself.